Researchers found that women had a 4.5-fold increased risk of having a stillbirth and four times greater risk of developing melanoma after their procedures. The most popular implants approved by the US Food and Drug Administration (FDA) are silicone implants and implants filled with a saline solution. Silicone implants use shells filled with a plastic gel while saline implants use silicone shells filled with a sterile saline solution. For breast reconstruction, the rebuilding of a breast, both implants are approved for women of all ages. For breast augmentation, meant to increase the size or change the shape of a breast, saline implants are approved for women aged 18 or older and silicone implants are approved for women aged 22 or older. Many women say silicone implants feel more like real breasts than saline implants do, but they pose a greater risk if they leak. In the early 1990s, the FDA prohibited silicone implants after several health concerns were raised about their association to a risk of cancer, connective tissue disease, and autoimmune diseases. No research established a definitive link between silicone implants and these conditions. After silicone implants from two manufacturers were approved in 2006, the FDA conducted many postapproval studies, but no researchers had analyzed the database. For the new study, published in the journal Annals of Surgery, the team looked at nearly 100,000 patients enrolled in large postapproval studies between 2007 and 2010. Approximately 80,000 had silicone implants and the rest received implants filled with a saline solution. Additionally, 72 percent of the women had a breast augmentation, 15 percent had a revision augmentation, 10 percent had breast reconstruction, and three percent had revision reconstruction. Researchers found the women who had silicone implants had a higher risk of several rare adverse outcomes. This included rheumatoid arthritis; Sjogren's syndrome, an immune system disorder characterized by dry eyes and dry mouth; and scleroderma, chronic hardening, and tightening of the skin and connective tissues. Women with silicone implants were also at a 4.5-fold increased risk of having a stillbirth, but not a miscarriage. Researchers also found that women with silicone implants had a risk of developing melanoma that was four times greater. Silicone implants were also associated with a higher risk of surgical complications compared to saline solutions. Around five percent of women had scarring around the implant, known as capsular contracture, compared with 2.8 percent of women with saline implants. 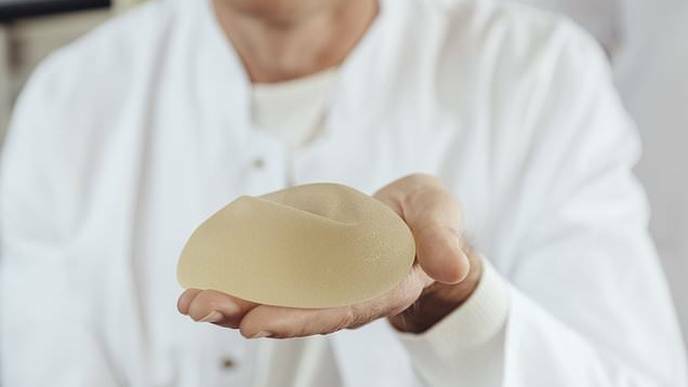 'We are reporting an analysis of the largest prospective study to date on silicone breast implant safety,' said Dr. Mark Clemens, an associate professor in the department of plastic surgery at MD Anderson Cancer Center. The authors noted that although certain risks were more common in women with silicone implants, 'absolute rates of these adverse outcomes were low'. But Dr. Stuart Linder, a plastic surgeon from Beverly Hills, California, is skeptical of the study. 'I use silicone implants and I have for over 20 years and I haven’t seen anything that has hinted of this,' he told DailyMail.com.